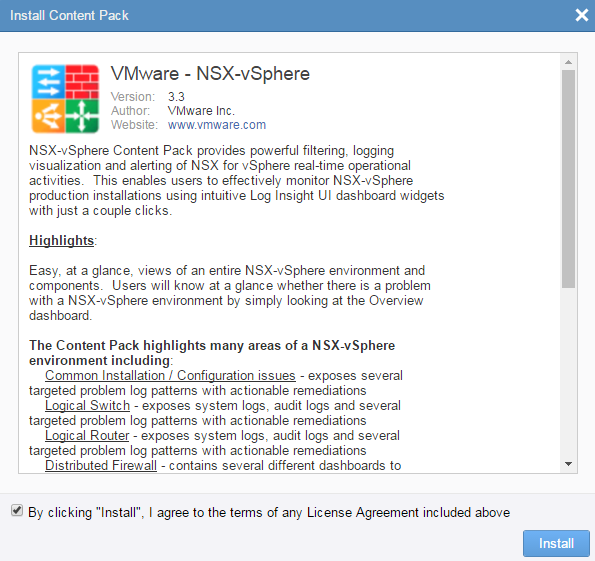 VMware Log Insight basically works without Content Packs, but it is highly recommended to install the Content Pack if you want to integrate NSX. Content packs are plugins that provide predefined knowledge about events. Log Insight can automatically add all ESXi Hosts that are in the vCenter Server Inventory. Open the Log Insight web interface and navigate to Administration > Integration > vSphere and enter vCenter Server connection details. 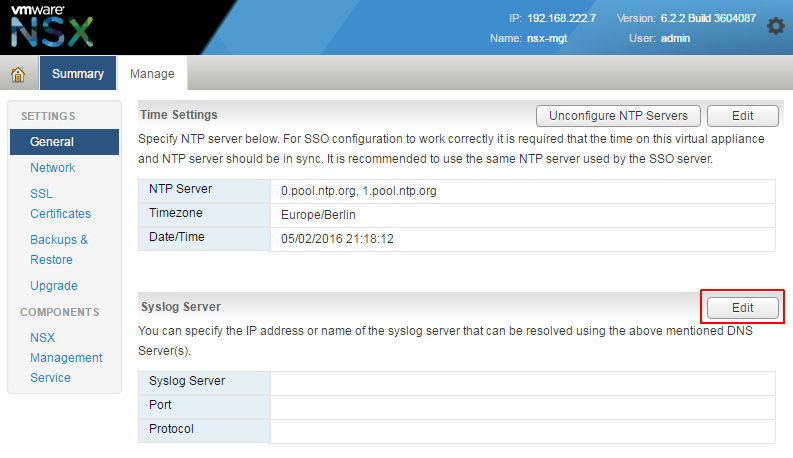 NSX Manger Syslog settings are configured in the appliance configuration, not in the vSphere Web Client. 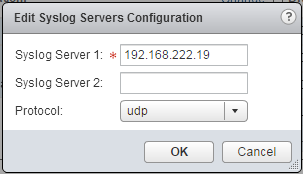 Enter IP address, Port and Protocol of the Log Insight server. The default syslog port is 514/UDP. You can also use the DNS name here, but I prefer to use IP addresses as syslog destinations. This allows syslog to function even when the DNS is down. NSX Manager Logs are now forwarded to Log Insight. The only supported method on configuring the syslog server on NSX controllers is through the NSX API. To use the API, you need a REST Client. Syslog settings have to be configured on each controller. 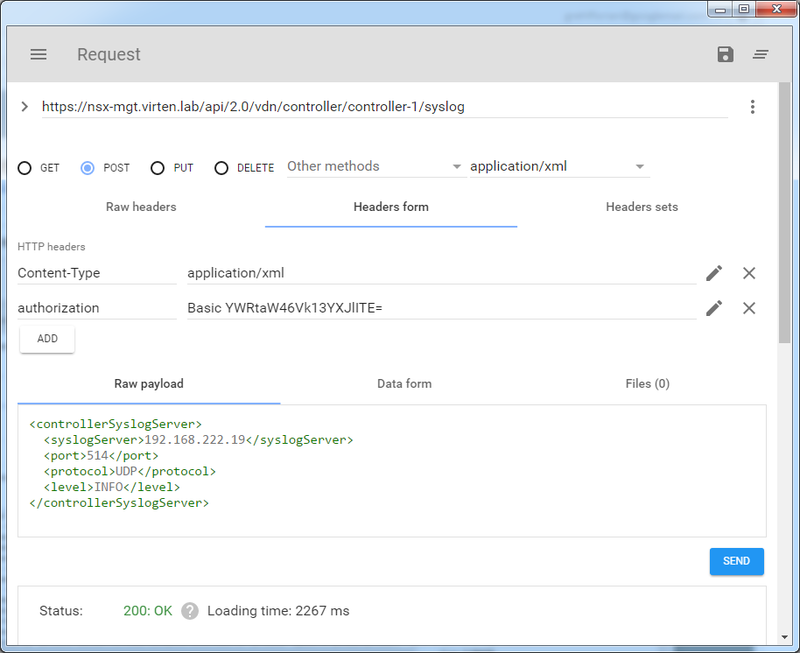 If you don't already have a REST Client, you can install Advanced REST client from the chrome web store. NSX Controller Logs are now forwarded to Log Insight. NSX Edge Syslog settings are configured in the vSphere Web Client. Syslog settings have to be configured on each Edge. 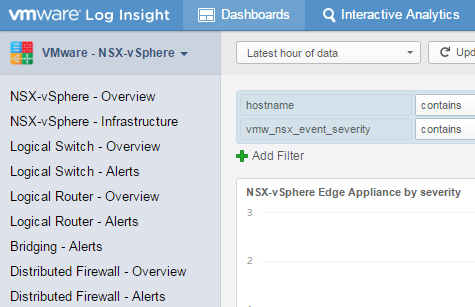 NSX Edge Gateway Logs are now forwarded to Log Insight.